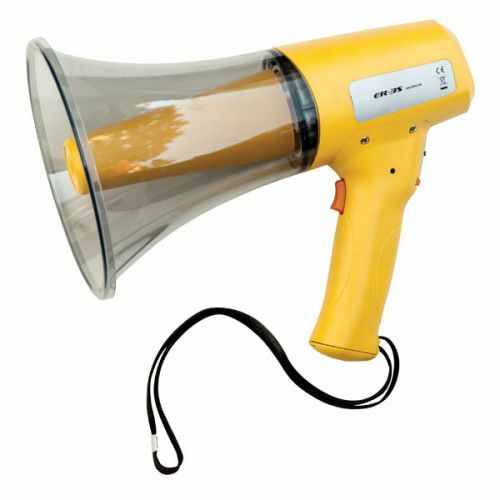 This Champion Sports Megaphone will really get their attention! The megaphone has an 800 yard range and power from 8 to 12 watts. Featuring an adjustable volume control, powerful siren and wrist strap, you'll never have to worry about being heard!